Comments: Most, but not all, of Overkill's serialised stories were also collected individually in US-style issues. 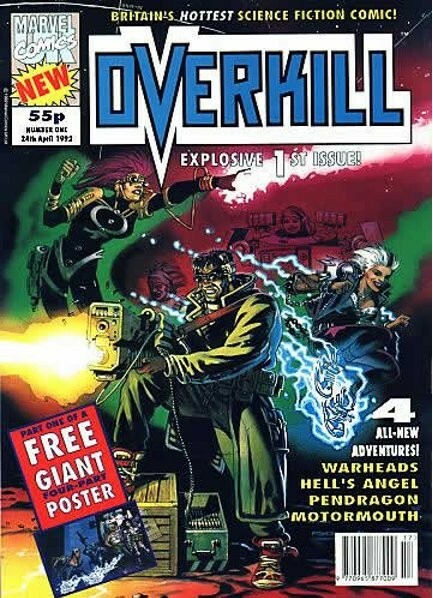 Thanks to the vagaries of publishing schedules, some installments appeared first in Overkill, while others debuted in the US issues. A handful of issues included stories which were not published in the U.S.A.